Cut the crust off your bread, dry it in oven at 70 °, grate it finely and pass it through a sieve. melt the butter using a double boiler until the whey separates and falls to the bottom. Carefully keep the surfaced oily part of the butter and eliminate the remainder. 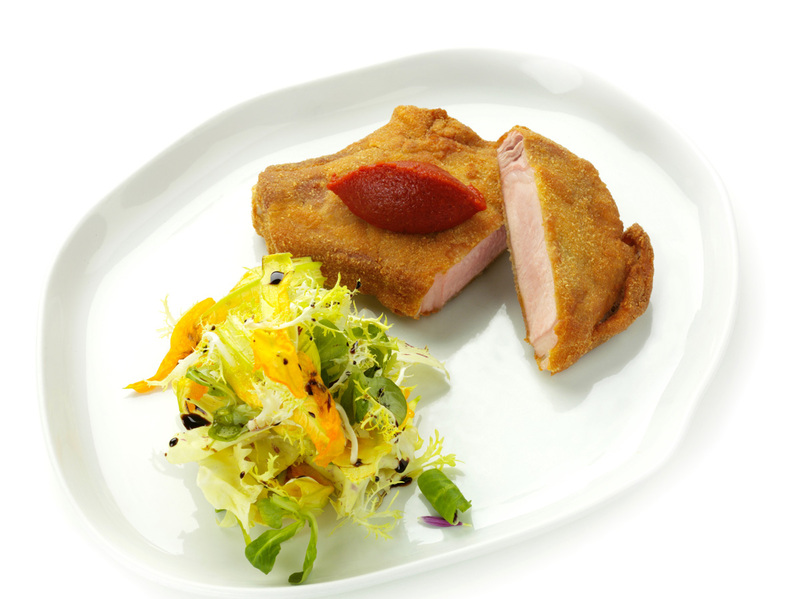 Slice a cutlet of 3 cm, and put them in the refrigerator wrapped in a cloth, so to dry them well. Pass the cutlet lightly in the flour, dip it in the beaten egg and then coat it with breadcrumbs. Dip it in the beaten egg and coat it with the breadcrumbs once again, then press the cutlet.